If you ask some children what Easter is all about they will invariably reply that it is to do with chocolate or Easter Eggs. Here is a fun way to teach the true meaning of Easter to your children’s group. The leader enters carrying either a large box marked “chocolates” or a large decorated basket. Build some suspense as to what’s in the box etc… As you remove each item from the box or basket use the item to teach about the meaning of Easter. 1. A bag of gold covered chocolate coins. (Jesus was betrayed by Judas for thirty pieces of silver). 2. Chocolate Rooster. ( Peter’s three denials of Jesus before the rooster crowed). 4. Hollow plastic egg. In Australia we have a sweet called “Kinder Surprise” which has a plastic egg which opens into halves with a small toy inside. If you don’t have something equivalent then use a medium sized Easter egg ( unwrapped) and ask someone to come and take a big bite out of it. (Tell the events of the empty tomb on Easter morning). 5. Marshmellows or chocolate chickens or bunnies. (Jesus offers us new life and a new birth just like the baby chickens coming out of the eggs). 6. Gold foil covered Easter egg. ( The Bible gives a picture of the streets of heaven being paved with gold. If we believe that Jesus died and came alive again we can look forward one day to spending forever with Jesus in heaven). A variation on the well known game. This is played in the same way as at children’s parties except you have a number of parcels circulating according to the size of your group (say one parcel per ten children). Get everyone into a large circle and give out the parcels with an even number of people between each. Then as the music is played, the parcels are passed around the room from one person to the next as quickly as possible. When the music stops the people holding the parcel can unwrap one layer of paper. Make sure each parcel is unwrapped to exactly the same point. This way the game will finish with the three or four people getting to the centre at the same time. For Easter – Between the layers place: a palm cross (talk about why we have a cross on the top on hot cross buns or why people wear crosses around their necks) , an Easter card( What would you write about Easter in a card to a friend ? ), a large nail (Jesus didn’t deserve to die -crucifixion), an easter egg (tomb), a clean sheet of paper (nothing on it- Jesus forgave our sins) . The gift could be a a small box of chocolates (celebrate that Jesus is alive). Use the items to recap the Easter story. Call forward any of the congregation or children’s group who are wearing a green top (t-shirt, jumper, sweater…). Give them the green props and ask them to stand in a group on the far left side of your stage or up-front area. Talk about how the colour green may remind us that Jesus came… and on the way he was welcomed into Jerusalem on Palm Sunday. Ask the green group to practice their phrase. Continue this process with the following colours and phrases. Finally invite all those remaining in the congregation wearing other colours to add “for everyone” to finish the phrase. Those holding the balloons can form a rolling Mexican wave of colour as they circle the balloons in front of them as they say their phrase. Hold up a hot cross bun and ask the group if they like to eat these buns at Easter. Say that many people all around the world like to eat these buns at Easter time and those that are Christians are reminded of Jesus death on a cross by the cross we find on the top of the bun. “Let’s think about the ingredients needed to make these buns. What are some of the things you think might be used? Flour? Water? Fruit? One thing that’s very important in making hot cross buns is yeast. What do we use yeast for? It helps the bun to rise otherwise they might be called “flat cross buns”. The yeast also might remind us that Jesus rose from the grave. He didn’t stay dead after he was crucified and put in to the tomb – he rose again. Dried fruits are also added to the mixture in making hot cross buns. These might remind us of the good things that come from Jesus’ death. Without his death on the cross we wouldn’t be able to enjoy new life. As you pass around some buttered hot cross buns for the children to eat. Invite everyone just to pause for a few moments and silently thank Jesus for being willing to die a slow and painful death so that we might have eternal life with him. Just in case you wondered about the history of the hot cross bun : We get the word “bun” from the Teutonic equivalent, “boun”, which was an archaic description of a sacrificial ox. The practice of offering animal sacrifices at the vernal equinox became frowned upon. Instead, the goddess in question was honoured with a cake, a sacred ox bun. Imprinted on the cake were the crossed horns of a ox. Christians reinterpreted this as the cross of Christ. You may get your group of children or your family to think of ways in which they can reach out ot others with the hope that Easter brings. Make some home made biscuits. Put a cross made of icing on the top and give them to someone in your family or friend who needs some encouragement. Get some bulbs which are in flower as a reminder of new life. Make your own Easter wrapping paper around the flower pot and give them as gift to a neighbour or friend. Attach a homemade Easter card (hand drawn or take a photo) which simply explains the Easter message. Visit a nursing home or people who are shut in and don’t get our much. Perhaps take a gift to those who have lost loved ones during the last year. Put up an Easter poster in your home. As family make up a special ‘Easter Email ‘with some family news, a photo or two and include a bible verse or some thoughts about what Easter means to you. Send the email to your family and friends. As family or group make up a special Easter Grace to be said before meals over Easter. Learn how to make Palm crosses and give them away as bookmarks to people. Organise a Christian Passover meal and invite your neighbours or friends. Invite people to your home after an Easter service on Good Friday or Easter Day. As Christianity spread, more familiar traditions. symbols and celebrations of spring were associated with Easter -Christ coming back to life after death. One of the oldest spring symbols is the egg. The oval shape of the egg was the same shape for a raindrop and a seed. These two were important life-giving elements. the egg itself promises new life as in spring, birds, and many other animals are hatched from eggs. In fact, the Persians, Hindus and Egyptians believed that the world began with a single egg. In ancient China, Rome, and Greece, eggs were given as springtime gifts. In Poland and Russia, hours are spent on drawing intricate designs on Easter eggs. In England, members of the royal families gave each other gold covered eggs as Easter gifts in the Middle Ages. The most famous Easter egg decorator was Peter Carl Faberge. He designed eggs from gold, silver and other precious gems for the kings of Europe and czars of Russia. These eggs are priceless now and can only be found in museums and private collections. in early America, children decorated their eggs by using dyes made from fruit and leaf colouring. 1. When a tree is cut through you see the ring pattern that runs right the way up and down the trunk. Good Friday is a slice through history that allows us to see the pattern of God’s love stretching forwards and backwards to infinity. “Use all your imagination! What do you think it will grow into? the little girl stares at the egg she cannot make up her mind whether it is beautiful or not. What might it become? She guesses. A rock? A football? Her father smiles and points to the sky. A sparrow flutters into the garden right near where they are sitting. The girl is open mouthed with wonder as only an small child can be. How could there possibly be a relationship between the simple egg in her father’s hand and the bird in flight.. How could something with wings like that come from something as ordinary as an egg? How could her father recognise that the bird in the air was born as the egg in his hand, when the two are so different? She doesn’t question these things. Because her father told her, she accepts them as fact. Wondrous, yes, but true! One day she will understand the answers to all those questions, and they will seem just commonplace realities of existence. But for now, her curiosit is satisfied; she can’t understand but she can marvel. And so we try to understand what it will mean to have a body transformed, but recognisable, in eternal life. * to review teaching, memory verses, etc. * were the rules clear and did I stick to them ? * am I being fair to kids with hardly any Biblical background to draw on ? * is it always the same children who get the chance to respond ? * is there a point to doing this, or it it just filling in time ? * is the team competition fun or is it getting out of hand ? Two teams compete against each other, each placing a “0” or an “X” on the grid whenever one of their team members answers a question correctly. Variations: (a) each section of the grid is labelled with a category or picture. Whenever a team member answers a question correctly, they throw a wet sponge-ball at the board. the number that is hit, becomes the score for that answer. You’ll need 10 boxes or envelopes,each containing a prize (eg sweet,sticker..),and a score-card(from +5 to -4 ). When a correct answer is given, the child chooses a box, keeps the prize for him/herself and the score is added to his team’s score. Teams answer questions from a list,then throw the dice to obtain the score for each correct response. Two children, one from each team,stand facing each other in the centre. At one end is a chair labelled “TRUE” ; at eh other end, a chair labelled “FALSE”. A statement is made, eg “Noah was an Egyptian slave.” The first child to sit on the correct “chair, scores a point for his team. Variation: label the chairs “OLD TESTAMENT” or “NEW TESTAMENT”. Mention an incident or character from the Bible and contestants have to decide which part of the Bible it would be found in. Questions are placed inside inflated balloons.Scores are on the back of the question paper. 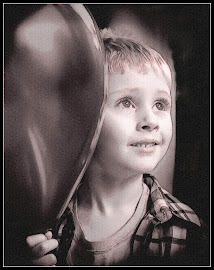 The child has to burst the balloon, and then ask his team the question. Two teams. One person from each team comes out the front . Questions are asked and each time A gets a question right, a cardboard box is put on team B’s pile which the contestants have to hold in their arms. When a pile falls the other team wins. The leader begins with a packet of jelly beans which he/she explains are to be distributed amongst the children at the end of the quiz. The only hitch is that whenever a question is answered incorrectly, one of the leaders gets to eat a jelly bean. Begin with a couple of difficult questions (so that children start to think they may never get to taste a jellybean), and make a great show of how delicious the lollies are ! Retell a story, making deliberate errors as you go. Everytime the children pick up a mistake, they kick out their legs in a “knee-jerk” reaction. (careful not to kick anybody).. Continue once the correct answer has been given. Teh whole group tries to answer 20 questions (put of 30 possible) in 4 minutes. If they succeed, the leaders have to pay a forfeit. If they fail, the group has to pay a forfeit (like stand on one leg for 3 minutes). A good quiz to encourage kids to think about their responses. When a statement is made, the children move across the room according to whether they agree, eg “Being good at sport is better than being good at schoolwork”, “Being a Christian is easy”, “The Bible is hard to read”. Tell the world. Let’s hear you shout it. The must read good news story of the week. Wants to be very best friends with you. Front page, headline. Good news for all to see. Extraordinary Jesus calls ‘come follow me’. When I touch my head, I think of you, Father God. When I put my hand over my heart, I remember to show you my love. When I put my hands together, I ask you to come and make everything right. When I touch my mouth, I ask you to give us the food we need. When I bow my head, I say sorry for the wrong things I’ve done. When I lift my head, I know you forgive me. When I open my arms, I ask you to help me be friends with everyone. Maintain your relationship with God – devotional life, quiet days, reading and prayer. Understand your leadership style and value it. Do things you are good at- find and develop others to do those things you find harder. Develop a support network – mentors, friends, parent support group, administrators, prayer team. Limit the number of programs and ministries you are involved in. Communicate these to the Church and your leaders -continually evaluate these with your teams - reports to Church Board or Council. Newsletter items, reports to other staff members, meeting notes or email. Encourage your volunteers – hold celebrations, write notes to them, phone-text email. Give them chocolate and lots of it! Pray for the right leaders. Some people have the gift of recruiting. Find them and use them well. Know the task you are asking them to do. Work out whether you are a phone, letter, email or face to face recruiter. As you ask them to be involved remember you are doing them a favor not the other way around. Describe the task in way that appeals to them and is also truthful regarding time commitment, skills needed etc..
Are the right people in the task already or is it hindering you finding volunteers? What is the environment like you are asking your leaders to work in? Liase with other staff members so that you all have a balance of leaders. Include your leaders in the decision making process. 1. Get passionate about the Bible yourself. 2. Explore the Bible as one big story that has many little stories included in it. 3. Arouse children’s curiosity in our mysterious, awesome and complex God. 4. Avoid trying to feed children simple, ‘pat’ answers about God. 5. Choose a range of activities that use different intelligences. 6. Organise a variety of activities, but make sure they all point in the same direction to the same truth. 7. Use learning dynamics other than just the leader or teacher talking to a group. 8. Encourage children to ask their honest questions of God. Four children are chosen to come and stand out the front of the group. All the other children are asked to “put their heads down and hold their thumbs up”. The four children then quietly move amongst those on the floor or chairs and each one touches gently one thumb which is raised. They then return to the front. The leader then tells the children to open their eyes. “Those children who think they have had their thumbs touched put their hands up. They then get one guess at who they think was the person out the front who touched them. Wait till all four have guessed and then tell them if they were correct. If someone guesses correctly then they get to take the person out the front spot. Play as many rounds as time allows. It’s often better to stop while enjoyment is high and then you can always come back to it later. You can use this very flexible game to introduce your teaching/Bible theme for the day. Devise matching pairs of words related to your theme for the day and write them on individual sticky labels which can be stuck to children’s backs. For example, for a discussion on attitudes and behaviour you could choose the words good/bad; love/hate; generous/selfish etc. First show children the word, then stick them on their backs, then challenge them to find their opposite or matching pair by looking at the words on the other children’s backs, without talking. When the children are all paired off gather them and talk about each pair of words as it relates to your theme. Attach a tree cutout to a wall easily accessible to the congregation. Put one name on a leaf for every child in your children’s ministry. Encourage adults to take a leaf with a child’s name on it and use as a prayer reminder in their devotion times. Every time they see the tree or leaves it is a reminder to pray for that child. Some adults may take it a step further by sending encouragement notes, calls or gifts to the children they have chosen. MessyChurch (in the UK) is one church’s attempt to be church for families who might want to meet Jesus, belong to their local church and bring up their children as Christians but can’t cope with traditional Sunday morning church services. Lot’s of practical suggestions to try. messychurch blog. Lucy Moore has written some excellent books which are helpful for those preparing an all-age worship service. familyworship.org.uk including a page of practical pointers for all-age worship. links to collective worship resources. LightLive Scripture Union makes available hundreds of resources for all-age worship. www.culham.ac.uk/storykeepers/ These resources are based on the Storykeepers television / video series. www.hibbert-assembly.org.uk The Hibbert Assembly – Material provided by the Hibbert Trust. www.retoday.org.uk/sfr/ RE Today: Space for Reflection – Assemblies and guidance for collective worship (password required – available to RE today subscribers). www.assemblingcitizens.co.uk Assembling Citizens – Secondary school assembly materials on citizenship issues from The Stapleford Centre (subscription required). www.angelfire.com/trek/annegordon/ Anne’s Page – Exploring Christian Faith with Children – Includes general advice and some starting points and suggestions for Collective Worship, along with ‘Times and Seasons’, a brief guide to the church’s year, again with suggestions for Collective Worship. www.cist.org.uk/ay/ Christians in Schools in the Stockport Area: Collective Acts of Worship – Outlines for Collective Worship suitable for Key Stage 1 children. www.schoolassemblies.btinternet.co.uk – School Assemblies for Busy Teachers – Assembly ideas, scripts and other resources contributed by teachers. www.teachernet.gov.uk/teachingandlearning/assemblies/ – Teachernet – Assemblies – A bank of over 100 resources written by teachers for teachers. Looking for an Easter Family Service idea?